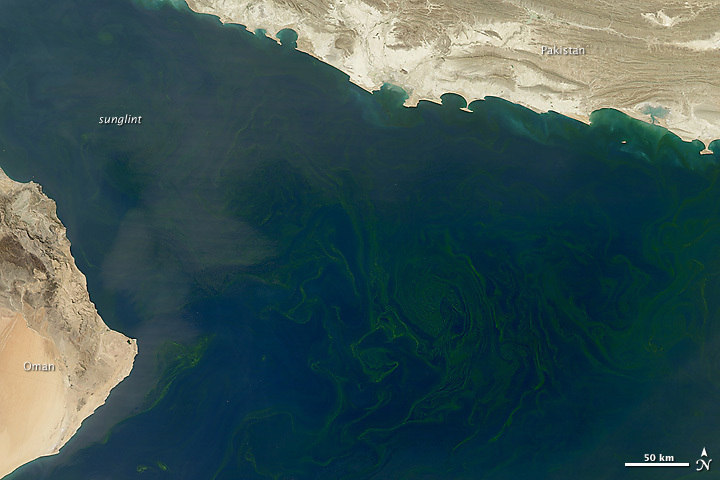 Winter is the prime season to see filaments of phytoplankton twist and curl amid the Arabian Sea. 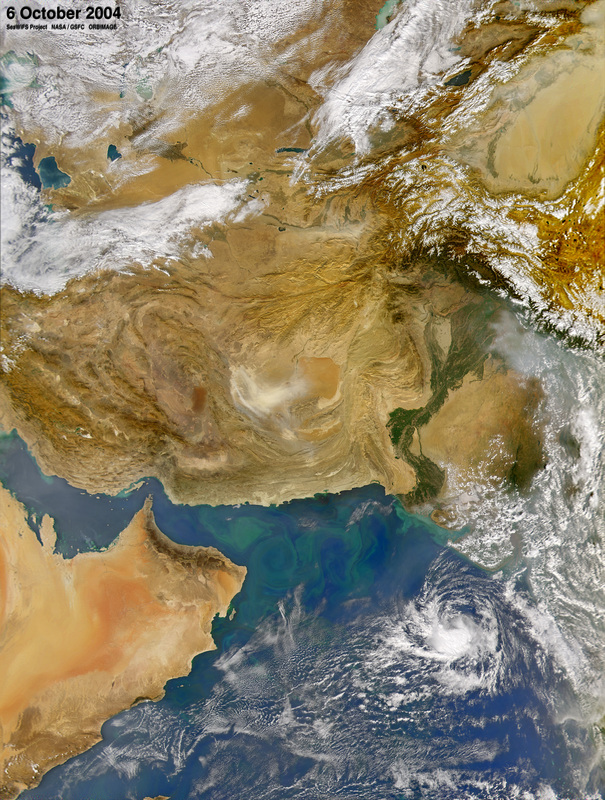 On February 14, 2015, the Moderate Resolution Imaging Spectroradiometer (MODIS) on NASA’s Aqua satellite acquired this image of the region’s winter blooms. 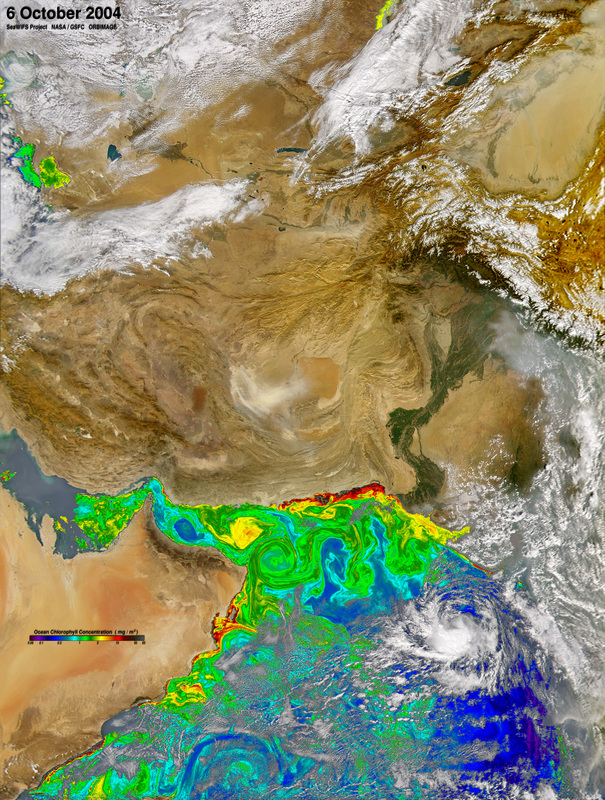 It turns out that in this part of the world, seasonal wind patterns have a large effect on blooms. 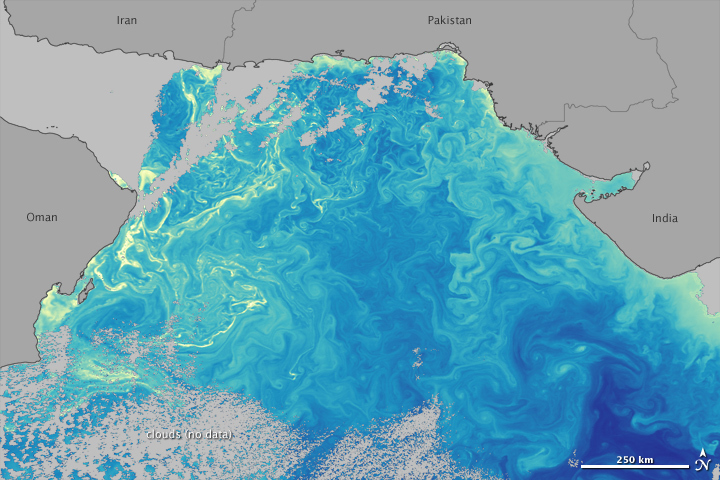 The winter monsoon brings a reversal of wind direction—from southwesterly to northeasterly—which stirs up nutrients that help phytoplankton thrive. 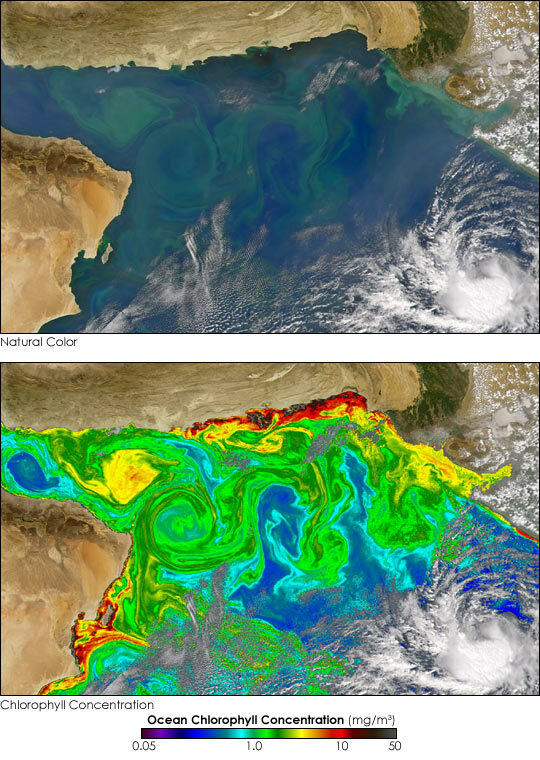 Not all phytoplankton are the same, however, and research has shown that the composition of the communities in the Arabian Sea has shifted. 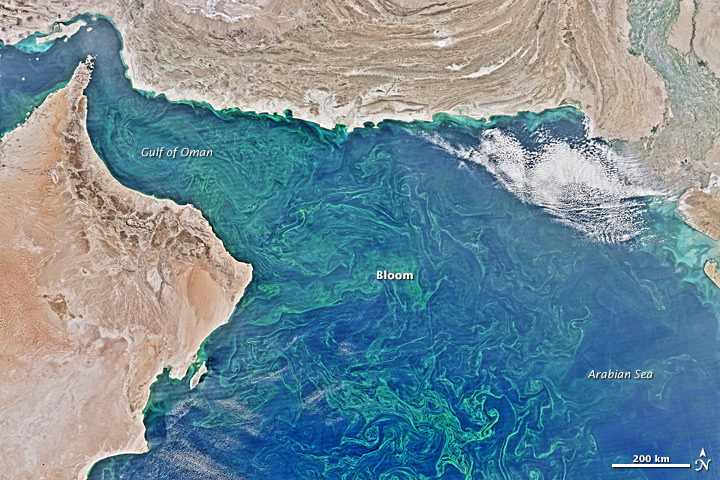 A study published in 2008 reported that an unusual abundance of Noctiluca scintillans (also called Nocticula miliaris) has started showing up in winter blooms over the last decade. The newcomers have replaced the populations of diatoms that previously prevailed. 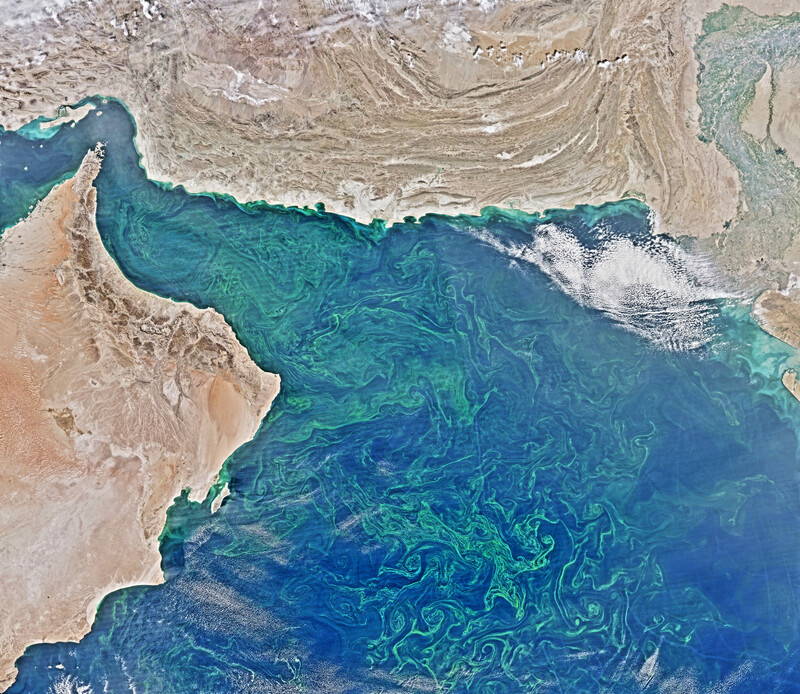 Research published in 2014 confirmed that the outbreak of N. scintillans in the Arabian Sea is due to an unprecedented amount of oxygen-deficient water near the sea’s surface. The exact reason for the influx is still under investigation. What is apparent, however, is that N. scintillans is better equipped to handle the low-oxygen environment. 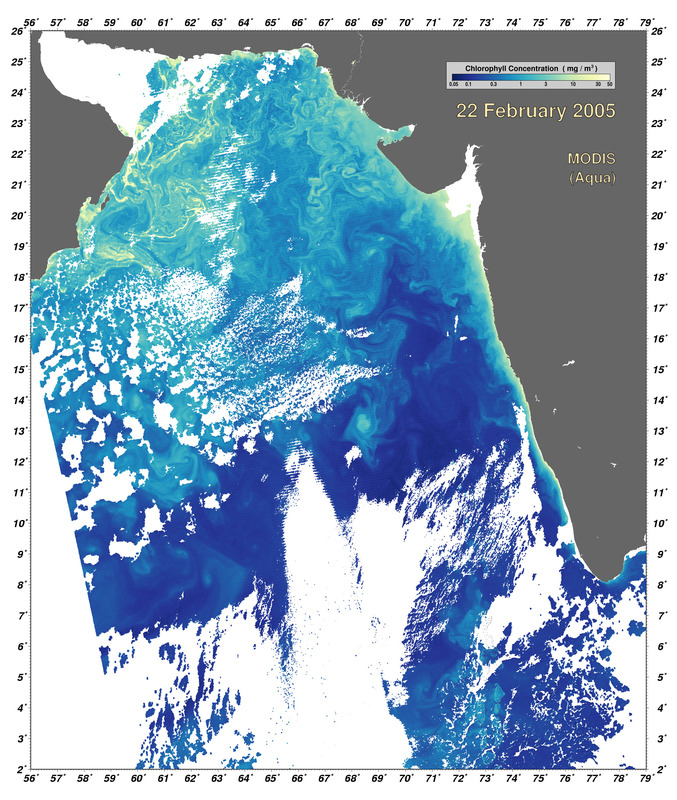 The shift could have implications for the food web of the Arabian Sea. In the past, fish ate the copepods that fed on the plentiful diatoms. In contrast to the diatoms, N. scintillans appears to be too large for consumption by copepods and instead feed creatures like jellyfish and salps. How this disruption to the traditional food chain will impact regional fisheries remains to be seen.